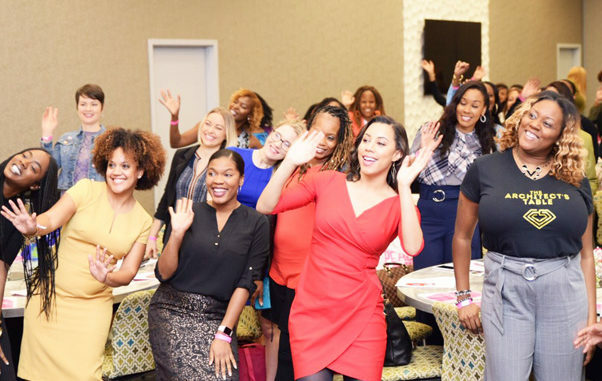 In an effort to combat disparities facing women, Stephanie Jones, owner of Lifestyles Management Counseling held the inaugural “Women at Werk” empowerment conference held at the Aloft Hotel on Southside Blvd. Hundreds of women were engaged in discussion on women’s roles in the workplace and the many responsibilities that are bestowed upon them in their various roles of life. When asked about the significance of using an “e” to replace the “o” in work, Stephanie Jones said, “The ‘e’ is to promote empowerment. 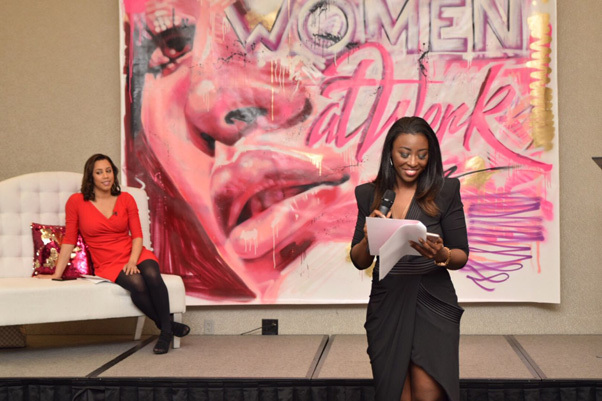 Women need someone in their corner cheerleading and encouraging them to reach higher heights!” Shown below is “Women at Werk” Founder Stephanie Jones introducing host Letisha Bereola of Action New Jax.